The Multi Captor Kit enables users to have the functionality of a Cleat Captor, a Mooring Captor and Boat Hook in one compact package with a price saving compared to purchasing the individual units. The Multi Captor Kit will allow you to solve just about all your docking and mooring difficulties. 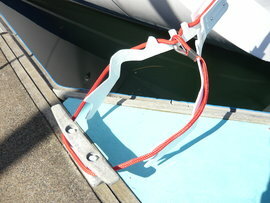 Cruising sailors visiting a variety of docking and mooring arrangements will find the Multi Captor Kit particularly useful. 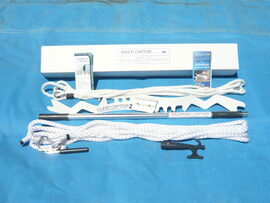 The Multi Captor Kit comes complete and ready to use. An optional 2 compartment STOWAWAY BAG is also available to keep all your Multi Captor components in one place and ready for use.